Dr. Daniel Fischer is proud to continue the Fischer family legacy. Growing up, he saw the wonderful community that his father, Fred F. Fischer, D.D.S., was a part of. He grew an interest in the field of dentistry, and chose that as his major in college. 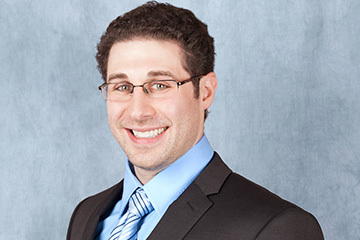 Dr. Fischer graduated with a bachelor’s degree from Michigan State University. He then went on to receive his Doctor of Dental Surgery from The University of Michigan in Ann Arbor. From that education, he found areas of interest to focus on. He pursued postgraduate training in general family dentistry, cosmetic dentistry, and endodontics. He focused specifically on dental implants. Since then, he’s became one of Michigan’s leading dentists in that area. Dr. Fischer was also voted Top Dentist by Hour Detroit Magazine. This should come as no surprise to any of his patients. Dr. Fischer brings not just experience, but warmth and friendliness to the Fischer Family Dentistry practice. His grasp of technology has helped the practice stay on the cutting edge. And his focus on family and community helps make our office truly special. Dr. Fischer is an avid sports fan. He’s a huge supporter of the Detroit Red Wings, and Spartan teams. His hobbies include exercising, and enjoying classic rock music. When he’s not working, he’s happy to spend most of his time with his wife, Paula. If you have any questions or would like to set up an appointment with Fischer Family Dentistry, please call us at (734) 422-4350. You can also read more about our other doctors - Dr. Fred F. Fischer, D.D.S. and Dr. Melissa Fischer Novetsky, D.D.S.